Synapse spoke with XTuit Pharmaceuticals Chief Scientific Officer Peter Blume-Jensen, MD, PhD, about the company's development of novel microenvironment-activated therapeutics for selected cancers and fibrotic disorders. 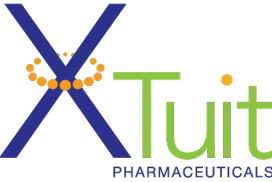 XTuit Pharmaceuticals is a Waltham-based biopharmaceutical company developing novel microenvironment-activated therapeutics for selected cancers and fibrotic disorders. Synapse spoke with Peter Blume-Jensen, MD, PhD, the chief scientific officer (CSO) and first employee about the company’s founding and scientific vision. After becoming an MD in his native Denmark, Blume-Jensen completed a PhD in oncogenic signaling at the Ludwig Institute for Cancer Research in Uppsala, Sweden, after which he moved to the US for a post-doc at the Salk Institute. His medical and scientific training was then put to use as director of Department Molecular Oncology at Serono (2001-2005) and Merck (2005-2007). Blume-Jensen subsequently co-led external scientific affairs at Japanese pharmaceutical Daiichi Sankyo (2007-2010), supporting both the company’s in-licensing and acquisition efforts and also involved in the core research and development as Global Therapeutic Area Advisor for Oncology and part of the global oncology strategy team. Before joining XTuit Pharmaceuticals in 2014, Peter was CSO at Metamark Genetics (2010-2014). Here he led all R&D, including development of a novel proteomics intact tissue platform and the clinical studies culminating with a double-blinded validation of a prostate cancer test, ProMarkTM, now launched and included under NCCN guidelines and Medicare/Medicaid coverage. SYNAPSE: XTuit was founded between Harvard Prof. of Tumor Biology Rakesh Jain, MIT Chemical Engineering Prof. Bob Langer, Salk Institute and HHMI Prof. Ron Evans, and Polaris partner Alan Crane. How did this partnership come together and lead to the founding of XTuit? BLUME-JENSEN: The shared biological appreciation of the microenvironment’s alteration in cancer and fibrotic disorders and the distinct approaches by Ron and Rakesh to overcoming this in disease was the key foundation on which to start the company. It’s not enough to just block the original oncogenic pathways since there are also these extrinsic mechanisms driving disease progression and treatment resistance. XTuit is targeting these extrinsic mechanisms because we believe these will always be operating non-genetically. In order to realize a dramatic improvement of treatment outcome, we need to block both the intrinsic mechanisms and the signaling from the stroma - that’s the combination concept in cancer that XTuit is focused on. One of our founders, Rakesh Jain has an engineering background, which makes him well-suited to approach science from the interface of medicine and engineering. He looked at cancer in a completely new way, emphasizing that what happens in advanced cancers is the buildup of extracellular matrix and cells within a relatively compartmentalized space. This so-called tissue desmoplasia leads to increased pressure on all structures, causing decreased perfusion, hypoxia and blocking of the lymphatic system. Over the last 5-7 years, Rakesh discovered that this tissue desmoplasia could actually be countered by blocking angiotensin receptors, using the same drugs that millions of people have taken for over 20 years for hypertension. One of XTuit’s other founders is Ron Evans from the Salk Institute, who has focused more on deregulated TGF-Beta/IL-6 signaling from the stroma to tumors. 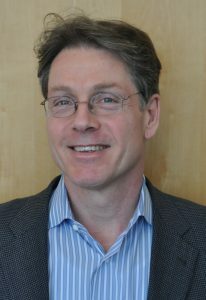 Ron found that Vitamin D agonists operate through pleiotropic mechanisms that overlap with the angiotensin II type 1 receptor signaling system that controls extracellular matrix deposition, activation of stromal cells, and the deregulated signaling from the stroma to the tumor cells or the inflamed tissue. This can drive treatment resistance because the signaling from activated stromal cells stimulate cancer and inflamed cells to grow and survive, hence bypassing the original intrinsic signaling mechanisms driving the disease; thus, if a drug hits an original intrinsic oncogenic mechanism, you still have bypass signaling that renders the cell able to continue proliferating. SYNAPSE: How does Bob Langer’s expertise and drug delivery come into the picture? BLUME-JENSEN: To understand the importance of drug delivery and Bob's specific expertise in this context, let me explain a bit about tumor biology and the challenges it presents. Rakesh Jain discovered that angiotensin receptor blockers (ARBs), developed to bind angiotensin II receptors in humans, revert the Angiotensin II type 1 receptor (AT1) signaling involved in desmoplasia, or sclerotic stroma, in cancer and inflamed tissue. ARBs bind to these Type 1 receptors and inhibit that signaling, resulting in decreased extracellular matrix synthesis, quiescence of stromal cells, and inhibition of stromal cell-derived signaling to the tumor cells or inflamed tissue. The problem is that ARBs were originally developed to lower blood pressure by blocking the signaling that leads to hypertension. In a tumor or inflamed tissue we need to get more of the drug to the diseased tumor tissue concomitant with lower systemic levels of the drug to avoid general lowering of blood pressure. The reason is that patients with advanced cancer are often very weak and unable to tolerate blood pressure lowering, so we need less systemically and more into the diseased tissue to avoid putting patients into more danger. Ron Evans’ work on Vitamin D analogs has shown that they signal through the Vitamin D receptor with the same effects as blocking the angiotensin II type 1 receptors. So Vitamin D analogues can also decrease the extracellular matrix and quiesce so-called stellate cells, a rare, stromal cell type across liver, pancreas, kidney, and lung diseases. Even there we need to have a superior biodistribution where we get more into the diseased tissue and less systemically because too much Vitamin D causes hypercalcemia and hyperphosphatemia, leading to mineralization and ultimately cardiac arrest. That’s where Bob Langer comes in, working with us deploying drug-polymer conjugate expertise. The goal is to get drug-polymer conjugates in the form of nanoparticles that are size-optimized to leverage disease biology in the following way: there’s leaky vasculature in tumors, so if we have an optimal size of these drug conjugates they can pass through the leaky vasculature leading to enhanced uptake and retention in diseased tissue without any targeting. Moreover, we can tailor the chemistry in the nanoparticles to leverage the disease biology; for example, if the diseased tissue has low pH or increased esterase activity, you can engineer drug-polymer conjugates to be more cleavable in that particular environment to maximize release of the active drugs in the diseased tissue. In this way we can get very long retention in a tissue with infrequent dosing, which we’ve observed in our in vivo mouse models. Ultimately, XTuit is built on principles of biodistribution from Bob Langer applied to the novel biology of the microenvironment uncovered by Rakesh Jain and Ron Evans. For this purpose, we also have an unannounced collaboration with an MIT lab on a particular type of drug-polymer conjugates (DPCs). SYNAPSE: What is the working relationship like between the academic founders, Polaris Ventures partner Alan Crane, and XTuit? BLUME-JENSEN: It’s very close. Alan Crane as well as all of the academic founders are very engaged. This is one of Rakesh Jain’s first companies, so he’s very engaged. Bob Langer has founded dozens of companies - he’s very, very busy but always available. Ron Evans is also extremely engaged and increasingly so now that we’re working a lot of his biology. XTuit is working closely with all the founders and personally I benefit a lot from these direct interactions as well. SYNAPSE: What aspects of XTuit’s science attracted you to the company? BLUME-JENSEN: Our vision is to improve the ability to predict efficacy of drugs. The biggest challenge in the industry in the last 50 years is attrition of drug to market. An average drug in the industry costs over $2 billion. We are going to do it for way less in a biotech. The way to do that is avoid all the unnecessary treatments and drug development failures. Targeting the microenvironment requires understanding the communication and multiple disease-promoting mechanisms at play between the stromal cells and the diseased cells. As a part of our strategy, we use our exciting intact tissue proteomics platform applying a clinical biomarker signature looking at proteins, not genes, in the native context that preserves spatial relationships between communicating cells. We take pre-treatment patient biopsies and will apply a biomarker algorithm, which combines molecular markers and 3D spatial distribution and morphological patterns, to predict drug efficacy in individual patients. We’ve leveraged the approach we developed when I was CSO at Metamark Genetics - an intact tissue platform used to develop a prostate cancer test, called ProMark. This will hopefully enable prospective response prediction in our clinical trials, which, if we succeed, will be a revolution in and of itself. Building that on top of the phenomenal biological insights and our unique drug delivery capabilities has the potential to become very impactful and hopefully benefit many patients one day. SYNAPSE: What is the timeline for XTuit to start clinical trials? BLUME-JENSEN: We're not in the clinic yet, but the vision is to be there at end of 2017/early 2018. We have an aggressive timeline for our drug delivery platform that we use for multiple drugs. Our pipeline prioritizes cancers where changes in the microenvironment are particularly strong as well as chronic inflammatory diseases, such as liver cirrhosis, renal fibrosis, and idiopathic pulmonary fibrosis (a devastating, lethal disease with insufficient standard of care). Our pipeline includes many pharmaceutical active ingredients like vitamin D and non-disclosed drugs, which would be too toxic without such a delivery system. As mentioned, we are planning for a prospective response hypothesis based on our biomarker platform approach. Before we treat patients in Phase 1b, we aim to predict who will benefit from the therapy and who will not based on what is called clinical decision-making thresholds. Everyone will get the therapy and based on who has what outcome, we will hopefully show that our risk predictor efficacy scoring works. Our strategic approach allows us to get a lot of statistical power with fewer patients and less money. If you prospectively predict response, you can enroll fewer patients in a trial but still get big effect sizes. Once we prove that, the drug and the tailored biomarkers are really our treatment package. The statistical significance we get via risk predictor efficacy scoring, in contrast to the retrospective approach using hundreds of patients as is traditional in the industry today, makes clinical trials more efficient, faster, and less expensive. If we can do it for one type of drug, we can do it as a general approach for prediction. SYNAPSE: How did you end up where you are today after your MD? How has your MD impacted your work? BLUME-JENSEN: Well, I would be terribly dangerous if I were to treat any patient today, with the exception of putting on a simple Band-Aid! I treated cancer patients for a while in Denmark and initially went for my PhD in Sweden because I was interested in the underlying molecular mechanisms of cancer. It was this time in the 1990s when we were increasingly understanding tyrosine kinase signalling and oncogenic mechanisms and the Ludwig Institute for Cancer Research in Uppsala was one of the top labs in Europe at the time. I always thought I would do my PhD and then come back and be a board-certified hem/oncologist in Denmark, but the science went well and I got an opportunity to do a postdoc in the lab of a leader in the tyrosine kinase field, Tony Hunter at the Salk Institute. During this phenomenal and stimulating period of my life, I developed one of the first applications of the so-called knock-in mutant mouse technology. We unexpectedly developed a mouse model for male infertility, I had the drive to translate to develop male contraceptives. I had very good academic offers, but went to Serono, a female reproductive leader, to continue working on my male infertility mouse model. I also started an oncology department there. Then six months into my job in 2001 the CEO came and said, "Are you crazy? If anything we need male fertility enhancement!" That killed that project. I was a little disappointed and then went to Merck, becoming department head of molecular oncology there. I got a very nice broad base while at Merck, understanding a little on the business side and learning a lot about mid- and large-sized pharma, including INDs and drug development and discovery. However, I wanted to understand more of the business of drug discovery which led to my External Scientific Affairs experience at Daiichi Sankyo. When I learned about Metamark Genetics, a biotech startup co-founded by Lynda Chin, Ron DePinho, Raju Kucherlapati, and David Rimm, I started there as second employee and CSO in 2010. They were looking to build a proteomics platform for prognostication, and since I’ve always been close to and loved science, I immediately knew the biotech startup world and that company was for me. I was there for four years, during which we launched a prostate cancer test, and I am still on Metamark’s scientific advisory board. My MD influenced me all the way because I think my biggest forte is starting with the unmet clinical need and then addressing it based on a strong scientific understanding. Do not feel intimidated by technologies that do not exist. Instead, generate them, and get them done the right way. Try to think outside of the box, do not be intimidated, don't be afraid. Tackle the right questions because that is where you can have the biggest impact, and I think the MD helped with that. Although my medical training is rusty now, I’ve never lost that wish to focus on the ultimate disease treatment and helping patients to get access to treatments that actually help them. SYNAPSE: As XTuit’s first employee and CSO, how have you grown the company and chosen who to hire? BLUME-JENSEN: The way I always hire in my departments or companies is, starting from the top, you want to have great lieutenants and leaders that then can hire their own people. People are everything in biotech; they’re the most important commodity. I always say that 5 outstanding individuals are better than 100 mediocre ones. Biotech is tough because, in my opinion, to be really good you need to understand the basic science, have a very strong understanding of the unmet need, and then be able to retro-engineer to fulfill that unmet need and translate it into humans. That’s something I would like to pride myself on - not starting with what you have and deciding where could you apply it, but rather starting with, ‘Where is the unmet need?’, and then, ‘How do you fulfill that unmet need, how do you get there?’ If the platforms don’t exist, then let’s make them! Our first hire was the VP of drug discovery, Jannik Andersen, who I worked with before at Merck and brought back from the Institute for Applied Cancer Science (IACS) at MD Anderson. Jannik is phenomenal and very experienced, including working with a number of my coworkers when I was CSO at Metamark or department head at Merck. Our second hire was the now-Senior VP of Technical Operations Don Chickering, who has experience in multiple biotech startups. So those two became key pillars and the three of us started building our process development and formulation and drug discovery. They started hiring their lieutenants and so forth. If you build a company that way, people get to hire who they think fits best a job under them which works well. XTuit is still small, around 25 people currently, including co-ops, that we thoroughly enjoy and have had great help from. SYNAPSE: How do you evaluate potential employees? In academia, the currency is one’s publication track record - what do you look for in industry? BLUME-JENSEN: It depends on the position. I like smart people, but also people that have the right type of energy, team spirit, drive, and someone that really wants to do this. In academia you need to be able to focus and concentrate as a single individual for long periods of time with a single-minded focus. In biotech, you need to constantly monitor multiple things going on at the same time and be working on different tasks while always moving toward the overall goal and, importantly, fully integrated with a multi-disciplinary team of colleagues and with often aggressive timelines. Intelligence is something that I look at, but that’s not from publications. Intelligence is having an understanding of the biology; it’s the way you look at and perceive things. But publications are important for certain positions - it’s a way of answering, “Have you contributed to a project?” When hiring lead scientists, I love to see that they’ve been contributing in leadership roles. At the end of the day it’s very important that everything fits. The way I hire is a little untraditional - we have job descriptions and interview people for those. Once you have a person coming in, I love to find out what they like to do. What are they excited about? And match that up with our company goals, trying to find a way that the individual can be extremely stimulated. That way you get the most out of people. SYNAPSE: Having been at big and small companies in the industry, what advice do you have for job hunters choosing where to work? BLUME-JENSEN: Clearly you need to be entrepreneurial to be in a small biotech because you're raising money. You should not be risk averse; be willing to take calculated risks. You also need to have the drive and energy to do multiple things. You need to be willing to do everything yourself; carrying the printer from the garage when you’re the first employee or doing all the contracts yourself initially before getting legal help. You do not have an infrastructure when starting out - you build it, you are it. If you like to be a do-er and are not afraid to do a lot of things and work really hard, then biotech is exciting and very science-based. Indeed, much of innovation in therapeutics comes from biotech. In pharma, it's important that you can work in teams and be very disciplined in executing in a certain area. There’s more of a sense of security in pharma, which may or may actually not be true in practice (entire departments can get cut out of nowhere). In pharma you need to understand you are one piece of a thousand pieces. You need to be patient since it can go slow as there are a lot of decision makers. What you can do in pharma better than anywhere else is large-scale clinical trials - especially the latest stage clinical trials. SYNAPSE: What advice do you have for students or post-docs looking to enter the biotech world? BLUME-JENSEN: A minority of people truly know what they want to do. For those that do, great. There are those who see themselves going an academic route, where there is the pressure to get the right publications and so forth. Then there are those who see themselves going the translational route in biotech or pharma. Personally, I couldn’t care less what setting I work within as long as I believe that what I’m doing is important and has impact on the clinic eventually. For me, that is the translational aspect. I actually do not care too much about publishing for the sake of publishing, though I do care that when something gets published, it gets cited and stands the test of time. It’s not the number of publications, but the importance of them. Again, it is all about impact, in my opinion. It is a great time to be in translational science. We understand more about cancer and other diseases than ever before, on a logarithmic scale. So my advice is, do not be too concerned about going somewhere simply because it is a prestigious place. Try to focus on, (a) what you as an individual want to do, and (b) what setting enables you to do it. That is at least how I approached it. When you’re on the fence about something, talk to people and try it out if possible. Just think about what you want to do, what makes you tick in life, what makes you excited. Then talk to people, and network. Some people hate that, thinking that they’re a scientist and shouldn’t have to network. I do not mean networking in the way that you have to go and make a million contacts - just go to more meetings, talk to people that you find naturally interesting. Ask them what they are doing. Finally, be open to opportunities that arise and make you excited. Biotech is a lot about that - academic persistence maybe slightly less so. Doors often do not close permanently because academia and the biotech industry are becoming much closer and in some places have merged. Academia is seeking more translational applications, and biotech is more about taking the early science and developing it. There are many exciting opportunities ahead! Interview originally conducted on 7/15/16. Credits. Photo courtesy of Peter Blume-Jensen.